Use this guide to begin your political science research. These links will guide you to various sources for statistics and data. If you need help with statistical analysis, programming, data cleaning or other statistical methods, see the box to the right. Data on political risk and macroeconomics at a country level. Includes international country risk group (ICRG) political risk data for 140 countries, monthly from 1980, as well as macroeconomic data and Political Risk Services (PRS) forecasting. The ICRG risk data include measures of bureaucracy, corruption, civil disorders, ethnic tensions, poverty, inflation, terrorism, and other metrics. The political risk forecasting section (PRS) provides country ratings on debt, investment risk, exchange controls, tariff barriers, trade restrictions, domestic economic problems and other risk factors. Information on the methodology used for calculating ratings and forecasts is available. A compilation of public opinion polls and surveys from more than 6,500 national, state, local and special surveys in the U.S. and over 60 other countries. The surveys date from 1986 and contain information on over 3,000 social, political and economic issues. Data and interactive thematic maps from the U.S. Census from 1790-present. Provides access to current and historical United States census data, including all historic decennial censuses and American Community Surveys, as well as other demographic information, such as religious organizations. Census data is current to 2010 and historical back to 1790. In addition to being a data resource, the web interface lets users create maps and reports to better illustrate, analyze and understand demography and social change. An easy-to-use mapping program that includes over 15,000 US demographic and socioeconomic data indicators from the neighborhood census block to national levels. Data may be downloaded to csv. PolicyMap is an easy-to-use mapping program that includes over 15,000 US demographic and socioeconomic data indicators from the neighborhood census block to national levels. Data about demographics, neighborhood conditions, real estate markets, income, jobs and economy, education, crime, and health can be presented as maps, tables, charts and reports. Provides access to the Field Poll data for analysis. SDA (Survey Documentation and Analysis) allows for basic data analysis within several data sets including the General Social Survey, U.S. Census microdata, and other surveys. Free quality of government data for 135 countries around the world, via the Quality of Government Institute at the University of Gothenburg in Sweden. New product from Google allows searching of datasets. Freedom House has been advocating for global freedom since 1941. Provides a number of reports, data and statistics on state of freedom, civil liberties, press freedom around the world. Need Help with Data Analysis, Programming, or Other Data Needs? A partnership between the Library and the Division of Data Science, DataPeers, provides assistance by undergrads for undergrads on a wide range of data, programming, and statistical analysis needs. The UC Berkeley Statistics Department provides free statistical consulting to UCB students, faculty and staff on a variety of statistical methods. Appointment availability and hours vary each semester. The Library has created several other guides for numeric data resources. Here are a few of them. 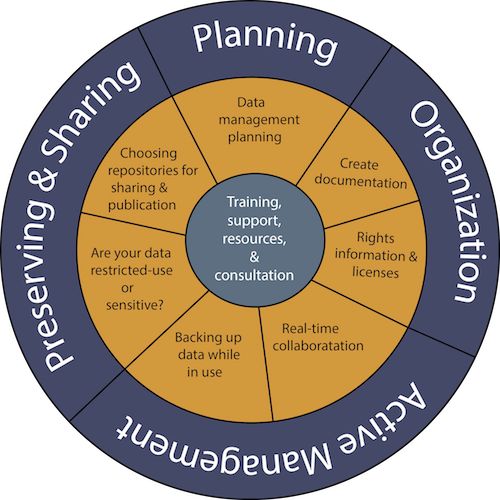 In addition to the resources linked from the guides above, the Library sponsors a data purchase program. More information on this program can be found below. See researchdata.berkeley.edu for more information.